SEPANG, 19 April 2017 – AirAsia Berhad ​is acquiring a 50% stake in online travel planner Touristly Travel Sdn Bhd (Touristly) through an asset injection and loan deal valued at RM11.5 million. The transaction ​will see AirAsia Berhad inject the digital platform of its Travel 3Sixty inflight magazine, valued at RM6.5 million, into Touristly via AirAsia Investments Ltd and extend a RM5 million convertible loan to Touristly for working capital and development. The digital platform comprises the online brand for the Travel 3Sixty inflight magazine, touchpoints on airasia.com and online advertising assets, which will allow the startup to reach AirAsia’s 60 million guests annually. Touristly will also gain access to offline advertising assets, including the physical version of the inflight magazine, overhead cabins and seat trays on AirAsia aircraft. In addition, AirAsia Group CEO Tony Fernandes will serve as Chairman of the Board for Touristly upon completion of the acquisition. The deal will strengthen AirAsia’s ancillary portfolio by offering its guests on-ground activities such as restaurants, theme parks, attractions, spas and tours at more than 70 destinations that the airline operates to. 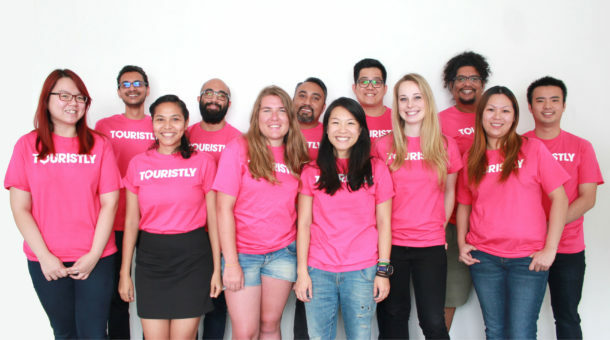 In May 2016, Touristly successfully raised an undisclosed pre-Series A round from Tune Group startup incubator Tune Labs, headed by Fernandes, Datuk Kamarudin Meranun and Lim Kian Onn. Touristly was also one of two startups selected at Pitch@Palace Malaysia in June 2016 to represent the country at Pitch@Palace Global, which was held at St James Palace in London, UK in December 2016. Touristly is a recipient of investment funding from Netrove Ventures Group and Tune Labs. They are also a recipient of Cradle Fund’s Cradle Investment Programme 500 (CIP500), is a part of Cradle’s Coach and Grow Programme, and is an alumnus of the Duke of York’s Pitch@Palace. For media enquiries, kindly contact Marxha Wu at marxha@touristly.com.